In this Policy, when we use “we”, “us” or “our”, we refer to the company (within Luminore 8 Pte. Ltd.) which is collecting your personal data, or which is operating the website which you are accessing or using. Your personal data may also be anonymised for use by Luminore 8 Pte. Ltd for other purposes. If you have consented, your personal data may be used by Luminore 8 Pte. Ltd for the purposes of marketing products and services offered on the website or other products or services offered by the Luminore 8 Pte. Ltd or those of its strategic partners or business affiliates e.g. informing you of latest activities, special offers, promotions or sending you newsletters. Your personal data may be disclosed and shared within Luminore 8 Pte. Ltd. to allow us to provide the products and services which you have requested. 11.1. We may amend this Policy from time to time. The amended Policy will be publicised on our website. 13.2. All complaints will be evaluated by Luminore 8 Pte. Ltd. in a timely manner. After Luminore 8 Pte. 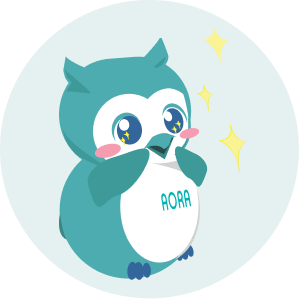 Ltd. has completed its evaluation, the AORA Administrator (or a duly appointed representative) will respond to the person who submitted the complaint or feedback, with the results of the evaluation.